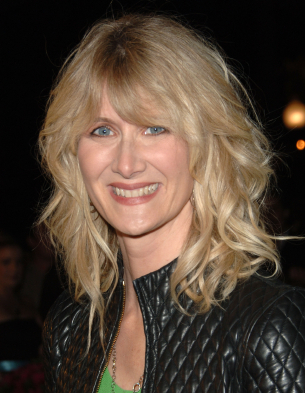 Laura Dern, Mike White, Diane Ladd, and Luke Wilson are back for another season of HBO’s “Enlightened”—and I’m thrilled to have one of my favorite casts of narcissists (the characters they play, anyway!) return. So much material, so little time! made her pregnant former assistant’s medical emergency into her own drama. She means well, but in the end, Amy’s all about Amy. Tyler, in his attempt to get Amy to value him, has covered up their hacking activities by switching Amy’s hard drive with another worker’s, who is subsequently fired during an investigation into the system security breach. Tyler may be a drone, but he’s got his own little sociopathic streak. Helen, Amy’s mom (played by Diane Ladd, Laura Dern’s actual mother), snoops on Amy, and tries to get Amy to read a letter from Amy’s ex-husband aloud to her, as if Amy is a young girl who would want her warm and supportive mother’s opinion, a description that doesn’t fit Helen at all! When the investigative reporter picks up Amy at her mother’s house to discuss Amy’s progress in getting the CEO’s emails, Helen meddles in her usual hostile and inappropriate way to humiliate Amy. Levi (Luke Wilson), Amy’s ex-husband is at the New Age-y rehab Amy got him into for his substance use disorder issues, and he is finding fault with the staff and other patients, in an adolescent Holden Caulfield kind of way, thinking they are all phonies. Like any good narcissist, including his ex-wife and her mother, he cycles between feeling humiliated and above it all. We tend to think of narcissists as thinking overly well of themselves, and they do—except when they are feeling completely insignificant and humiliated. Narcissists get their information about their self worth—good or bad—from the outside, so their self-esteem is always fluctuating. They haven’t learned to regulate their self-esteem by handling themselves well. They are involved in positioning (who’s better or worse), rather than relating. It’s as if all the people who matter in the world are rank ordered, and the narcissists must always protect their position, by one-upping others, always being right. And that’s how it works with narcissism: no one’s having a good time, because whenever a person leads with narcissism, things aren’t going to end well. Narcissists often feel humiliated in therapy, unless the therapist does “Oh, poor baby” therapy or tells them how wonderful they are, neither of which is helpful. Treating narcissism involves lowering the patient’s grandiose ideas of themselves to the reality of the person as someone working to have a satisfying life, instead of being king or queen of the universe, and raising the patient’s idea of themselves as a humiliated, insignificant nothing to the reality of, again, someone working to have a satisfying life. Everyone struggles with narcissism, and I don’t just mean the characters in “Enlightened.” It’s just a question of degree. Can good therapy make narcissism go away? I wish! It’s a matter of learning to catch ourselves and think our way back to reality, rather than indulging it. When Amy is insisting that the article detailing the corruption at her company run on the front page, she’s indulging her narcissism. When we run down someone else to make ourselves feel superior, we’re indulging our narcissism. And whenever we indulge our narcissism, it becomes an even larger problem. If narcissism—protecting your superior position or feeling humiliated—is keeping you from fully enjoying your life, as is the case with the characters from “Enlightened,” good therapy can be very helpful. If you’d like to learn more, reach out to me here. I look forward to speaking with you.